One year has almost passed since we revived the Nanaimo naturalist club as Nature Nanaimo, and we can look back on a very successful first 11 months of activities. We have seen well-attended meetings on a wide variety of topics, ranging from owls, bats and spiders to mushrooms and spring flowers. We have enjoyed excursions on a similarly wide range of topics, e.g., birds, animal rescue, intertidal marine animals and fossils. We plan to work towards starting several projects, including building and helping with the setup, replacement and monitoring of Purple Martin nest boxes to aid in the recovery efforts led by the Georgia Basin Ecological Assessment and Restoration Society (http://www.georgiabasin.ca/puma.htm), and possibly a stream restoration project. Other projects will be added as we grow, and we welcome your ideas and participation. Our membership has increased to 117 individual members, and we hope that we can attract even more members in the 2018-2019 season. 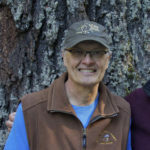 To facilitate continued growth, our activity committee members have worked hard to assemble an interesting lineup of speakers for the coming season, starting with an excursion to the Pacific Northwest Raptors (http://pnwraptors.com/) in Duncan, a talk on whales in September, and one on vultures in October. At each meeting we will also have a brief “Nature Nugget” on some (usually) local topic, We have purchased a sound system to ensure that everyone can hear the speakers clearly. We have tentative plans for a couple of social gatherings where we can get to know each other at a personal level. Our Facebook page is enjoying a lot of traffic and is a great resource for staying current with Nature Nanaimo activities. For those of you who do not want to join Facebook, our webmaster is working hard to get our website up and running. It will have everything you need, including Nature Nanaimo-specific information and links to events and interesting websites, and a Newsletter that you can print out and enjoy at your leisure. If you are a member, you will of course get notification via e-mail to ensure that you don’t miss any of our exciting and fun activities. As you can see, there is a lot going on behind the public activities. In order to sustain these activities and help guide Nature Nanaimo in the future, we can offer lots of opportunities for members to participate actively. In November, we will have an Annual General Meeting, which includes election of the executive, which meets once a month (~8 meetings per year). Being a part of shaping the future of Nature Nanaimo is enjoyable and a lot of fun, but the current members of the executive are not likely to serve perpetually. It is important therefore that we are able to attract volunteers who are willing to participate over the next few years. To apply a famous quote by US President John F. Kennedy: “Do not ask what Nature Nanaimo can do for you, ask what you can do for Nature Nanaimo”. I hope to see you at the meetings and/or field trips, and I look forward to hearing your feedback, and to work with some of you over the next year.